How much do you know about apple cider vinegar and its benefits? What are your thoughts on it? 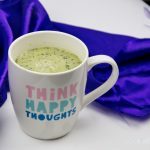 Well, let me share you some personal thoughts and experiences, as well as some different ways of using this liquid that you may not have thought of before. Fast forward a number of years to now and as most of you who’ve been following my culinary journey for a while realize, I have a special snowflake stomach with many, many, many digestive problems. And over the past year or so I’ve come to find some (note, some) relief when I have some sort of apple cider vinegar in my daily food and drinks. 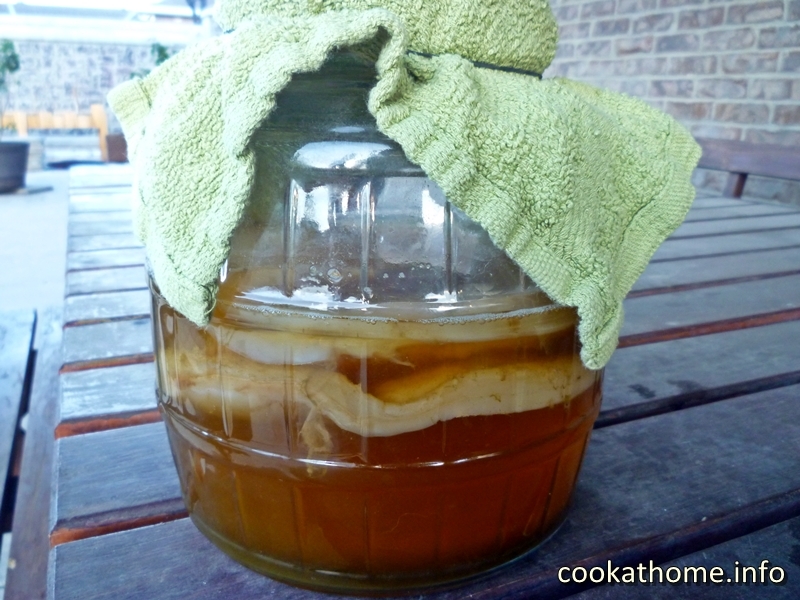 Many people recommend taking apple cider vinegar on an empty stomach, so I developed a morning drink that I try to have every day before breakfast. But I wanted to share with you some other ways that I’ve incorporated apple cider vinegar in some, maybe surprising, ways through my daily cooking and baking adventures. Let’s start of with some more obvious uses, shall we? How many of you have looked at the back of a ketchup (or tomato sauce for my Aussie readers) and cringed at all the ingredients, especially the high fructose corn syrup? 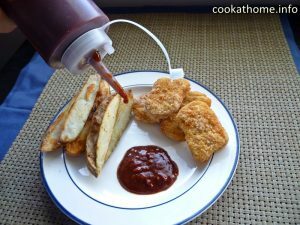 And how many of you have actually checked out how easy it is to make ketchup, with no sugar? 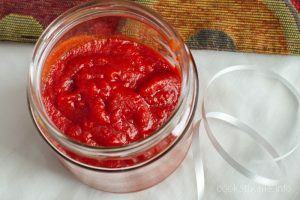 If you haven’t yet, you should check it out and see that making ketchup at home only needs simple ingredients, one being apple cider vinegar. And, while this doesn’t taste like the commercial ketchup, it’s very handy to have this in the fridge! In a similar vein, what about BBQ sauce? Oh, you can imagine the tangy BBQ flavor on so many foods right now, can’t you? But again, have you looked at the ingredients in some of those commercial BBQ sauces? Check out this recipe for homemade BBQ sauce, using apple cider vinegar to give it a good zing in taste! Ok that’s enough about sauces. Let’s look at some marinades that use apple cider vinegar, shall we? Let me introduce you to my all time favorite marinade. This honey tamari marinade is my go-to for marinated chicken. Just ask my family. Any time they see marinated chicken on the whiteboard for our weekly meal plan, they’re pretty sure I’m going to be pulling out this recipe. 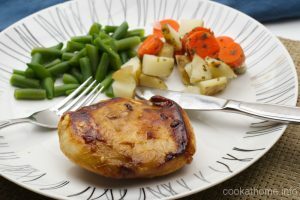 And you know the funny thing is – I often make it Whole30 compliant, so without either honey or tamari … but I still call it a honey tamari marinade and no one is the wiser! Now this next marinade is so versatile, it can be used as a dip, a marinade, or even a sauce for a curry. And it involves my favorite food group – peanut butter (yes, I did just say that peanut butter was a food group!). A lot of Thai sauces need to have that combination of sweet, savory, sour, salty and bitter – and this is where the apple cider vinegar comes in for this peanut satay sauce. Definitely on the sour and bitter side, but perfectly balanced by the peanut butter and other ingredients in there. 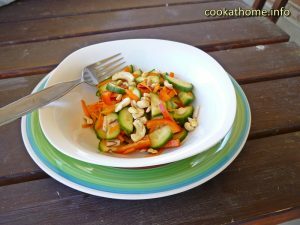 Following on the Thai theme, check out this spicy Thai cucumber salad. So many fresh veggies in the actual salad, but it’s the vinaigrette where the zing comes in from the apple cider vinegar. And of course, you can’t have the salad without nuts for added crunch! 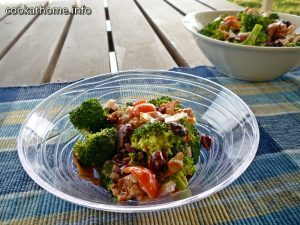 Then there’s one of my all time favorite salads – this bacon and broccoli salad. Two foods that I thought I’d never use in the same phrase as ‘favorite’, let alone in a salad! And the addition of apple cider vinegar on this salad is so simple. Just drizzle it over the veggies before adding the mayonnaise and eat to your heart’s content! As a side note, why do Americans call their main course an ‘entree’ while in Australia, an entree is what you have before a main meal? But I digress. 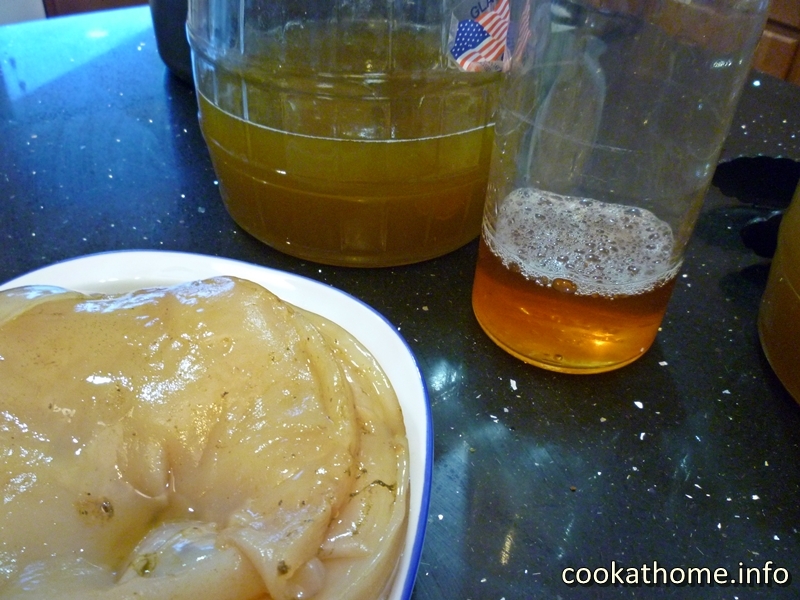 Two yummy savory dishes/ main meals / entrees that use apple cider vinegar. And both are some of my favorite meals. 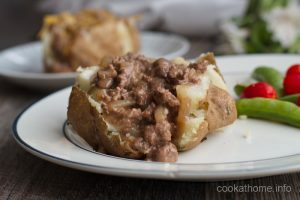 The stroganoff baked potatoes are always a hit in my family – to the extent that once I make it, I get asked to make it again. Soon. And the avocado chicken zoodles – well that’s a personal favorite because no one else in my family is as enamored with avocado as I am. But in each case, the apple cider vinegar helps to give the sauce an extra zing to the taste! And now we come to where apple cider vinegar can be used in baked goods. My favorite way of using it! I’m not going to go into too much detail about these, sufficient to say that using apple cider vinegar with a combination of baking soda produces bubbles, for lighter, yummier baked stuff. 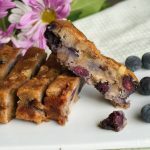 So check out these recipes for English muffins, Paleo bread with no flour at all, pumpkin bread stuffing and the sweeter bread with bananas and blueberries! Need I say more? When you can make such yummy things as these? You don’t need a huge amount of apple cider vinegar in any of these recipes, but adding it definitely gives the texture extra lift and lightness – and these cakes and cookies are also made without any refined sugar, so you can feel even better about eating them! 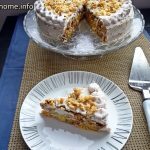 Check out the recipes for the carrot pineapple cake, pumpkin chocolate chip cookies and carrot cake cookies. 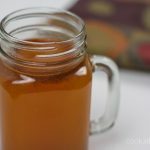 My basic rule of thumb when using apple cider vinegar in baking is wherever the recipe calls for any vinegar – white or otherwise – you can easily substitute 1:1 with apple cider vinegar. It hasn’t let me down yet! There we go, my friends! 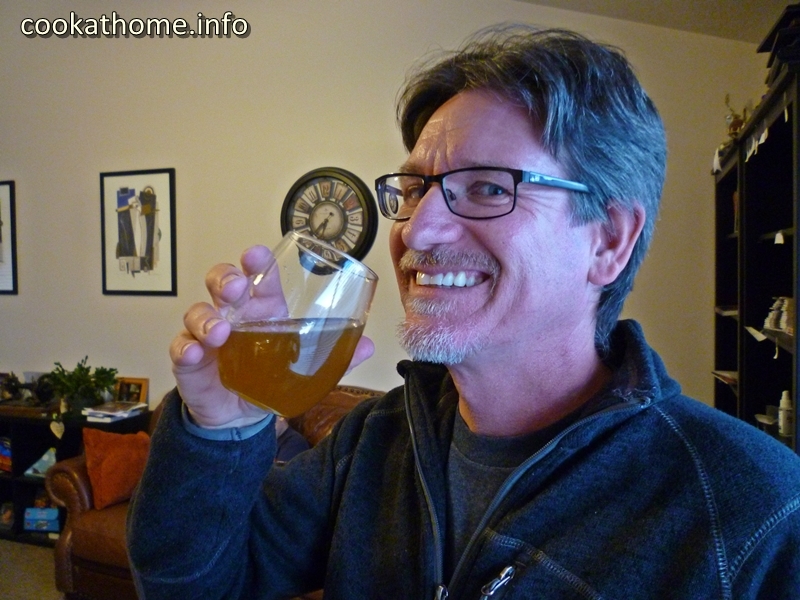 I’ve shared the many and varied ways that I go through apple cider vinegar on a regular basis. I’d love to know whether you use it and how? And whether any of these ideas have appealed to you! Let me know in the comments below! 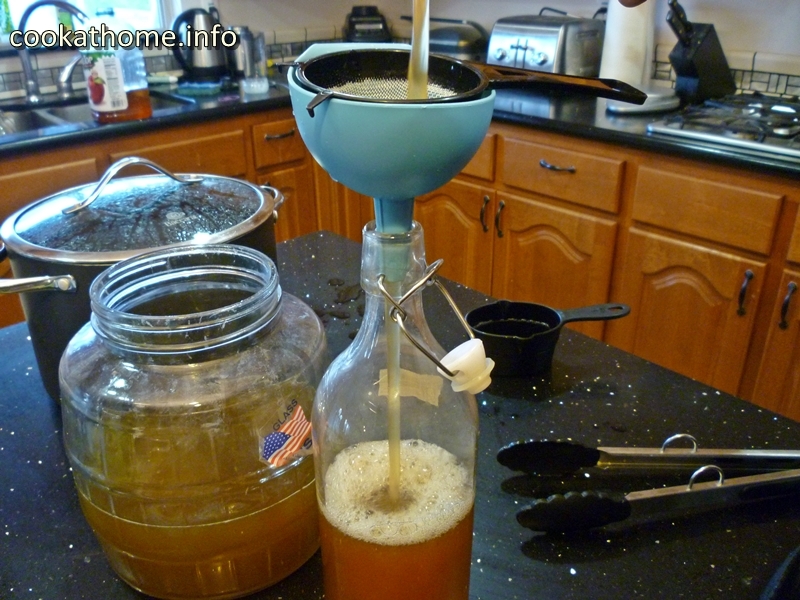 Until next time, enjoy cooking at home … with apple cider vinegar! 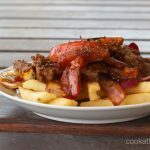 It’s the classic Peruvian dish of steak and fries – but this lomo saltado is actually Whole30 compliant! As some of you know, we lived in Chile for 2 years. And found the adage of ‘eat in Peru, drink in Chile’ to be quite accurate. Because the food in Peru is, to be honest, AMAZING! There is such a good mix of cultures there, with the Chaufa (combination of Chinese and Peruvian) being especially prevalent. 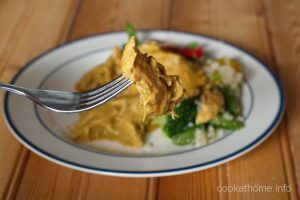 And you should be aware of our absolute love of aji de gallina – a yellow chicken curry – that is totally different to anything else in the Western world. But also, our fondness of arroz con leche, or rice pudding. I’m still working on the arroz con leche to be grain-free and refined sugar free to suit other dietary special snowflakes like myself, so stay tuned for that! Fast forward a number of years, to where I’m acutely aware of how many foods affect me, and how eating the Whole30 way actually makes me feel better on the inside. Note, I do not eat Whole30 ALL the time, because (a) that’s not what it’s meant for and (b) I am quite fond of my baked goods! But if I can adapt a recipe to be Whole30 compliant, I know I’m going to enjoy both the taste, and feel good inside after eating it too. 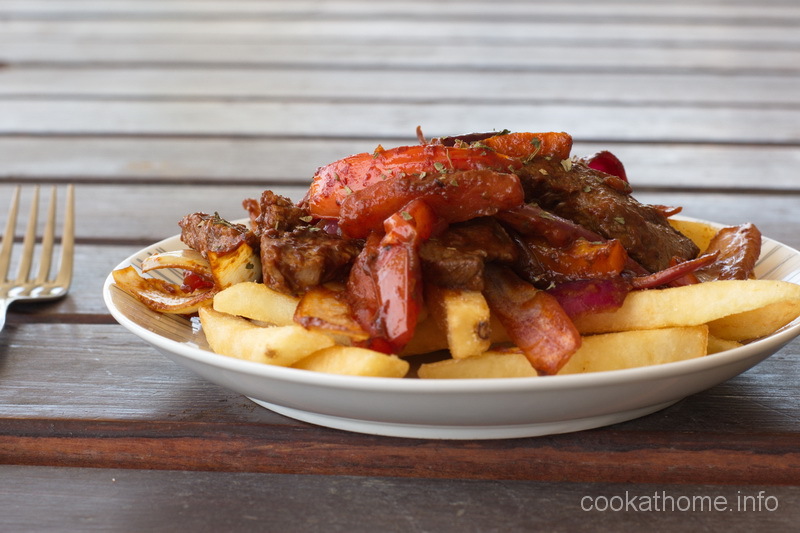 Thanks to my friend, Chef Freyka, I recently attended a cooking class with her, where she showed us how she makes lomo saltado. Now, she’s Peruvian, so I knew it was going to be authentic. I came home after that class, and immediately told the family I was cooking lomo saltado that weekend. With a few modifications. And the verdict – well, there was none left … and the sighs of delight from all members of the family showed I was on a winner! So if you’re interested in trying this all-time classic Peruvian meal – check out the recipe below. And if you do try it, let me know what you think in the comments! 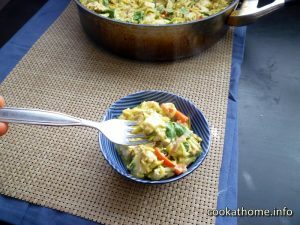 PS – this dish is traditionally served with rice as well as the french fries, but if you’re wanting to stay Whole30 compliant, I’d recommend cauliflower rice! Preheat a large frying pan and add cooking oil of choice. Add the beef, allowing room for the pieces to not overlap each other. Season with salt, pepper, cumin, oregano and paprika. Allow to sit on the pan for about a minute, then toss the meat until the color caramelizes with a little red remaining. Remove from the pan and set aside, keeping warm. Add some more oil to the frying pan, then add the onions with a pinch of salt. Saute the onions until they display a golden color. Stir in the garlic powder, aji amarillo paste and vinegar and allow to braise until most of the vinegar has evaporated. Add the tomato paste, coconut aminos, tomato wedges and 1/2 tbs vinegar. 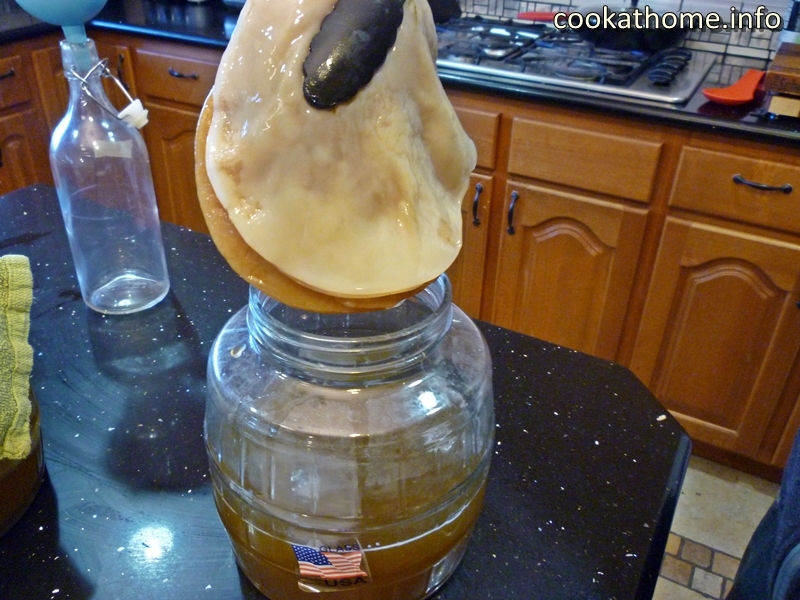 Cook the vinegar off. Add a little water if needed to keep the mixture moist. Return the beef to the frying pan, mix well and turn the heat off. Serve over french fries (either homemade or bought) and with optional rice (whole-grain or cauliflower). Garnish with parsley and add some of the cooking juices as a sauce. 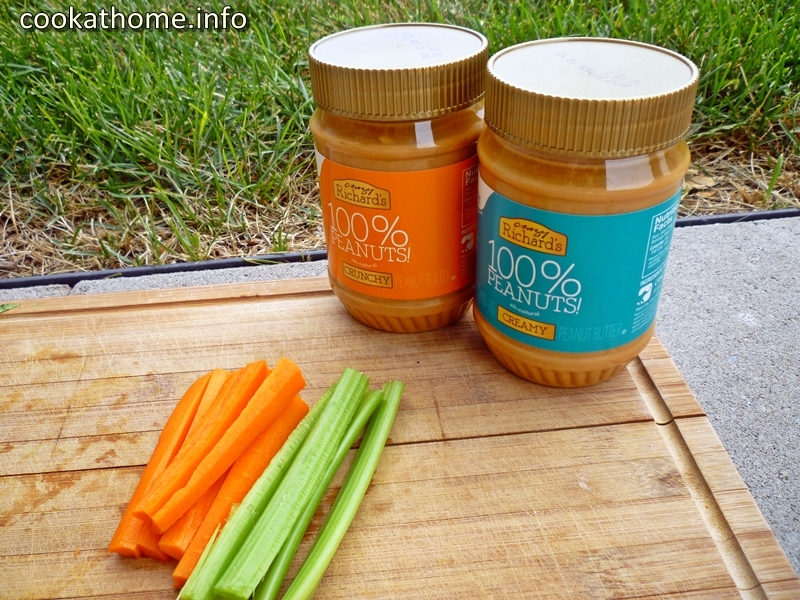 Almond butter vs peanut butter – which do you prefer? It’s an age old question. Well, not really! 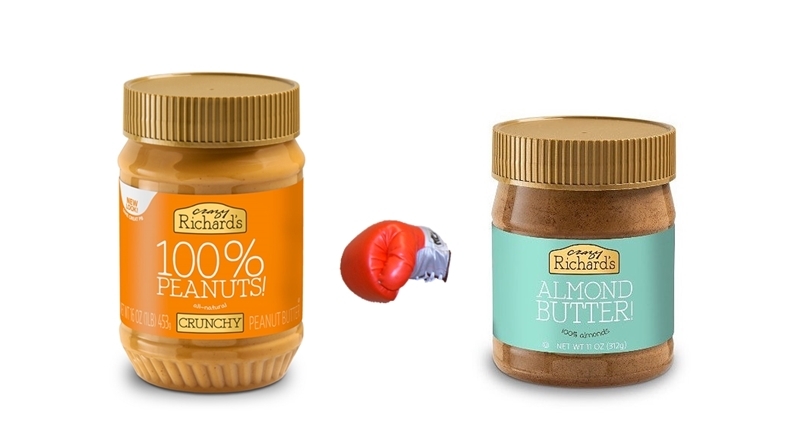 In a battle of almond butter vs peanut butter, which would win for you? I love my peanut butter. SO MUCH! For breakfast, lunch and dinner, and snacks in between. So much so, that I love finding new ideas on how to use it! But I know there’s many people around the world that are allergic to peanuts, my own father included. And I also know that if I have too much peanut butter (which can sometimes often happen) my stomach rebels against me. So I thought about how I could incorporate more almond butter, and other nut butters, even nut-free butters, into my life. Now it’s pretty easy for any recipe that calls for peanut butter to just do a quick substitution with almond butter. But I thought I’d share with you some of my favorite recipes using almond butter – that are awesome in their own right. 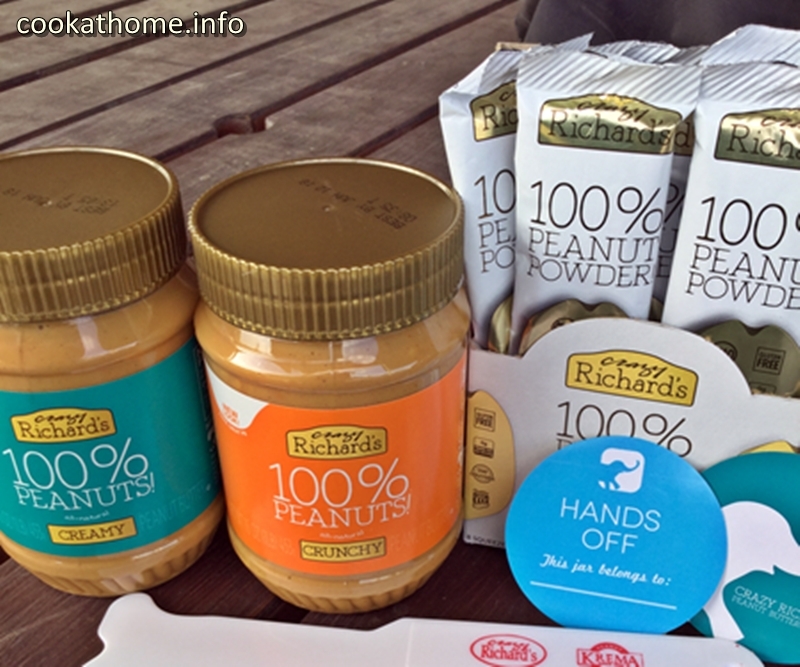 Note that I have received some free products from Crazy Richards Peanut Butter company for use in my Instagram giveaway, which is why I used photos of their products above. I love Crazy Richards Peanut butter, and love working with them, but have not received any other payment from them apart from a few free jars of peanut and almond butters! Lets start out nice and simple – with something that I make ALL the time. And that’s granola. 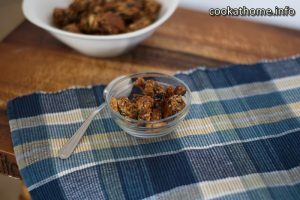 I love having a good nut butter to help bind all the fruit and nuts together before putting in the oven, so check out the egg white granola, and the almond blueberry granola recipes! 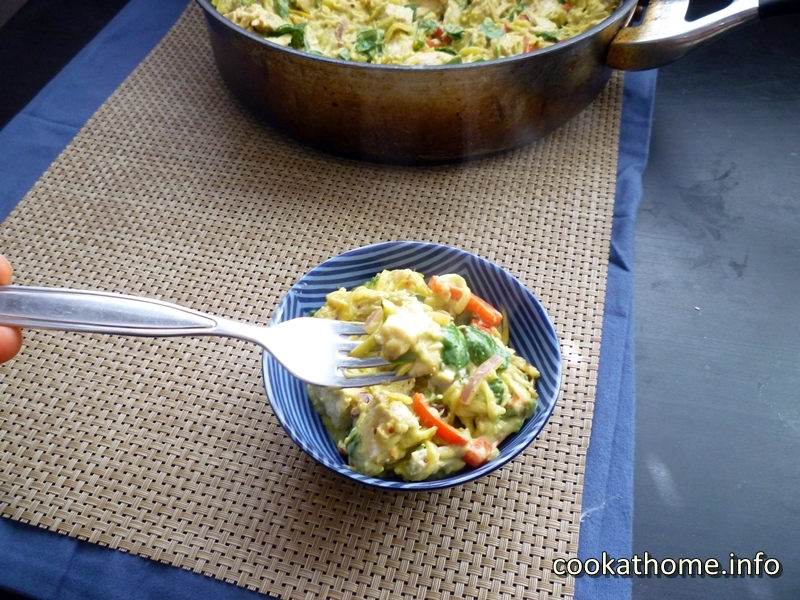 Now I realize that both of these dishes are a Thai curry. But really, almond butter just makes the sauce so creamy and yummy! 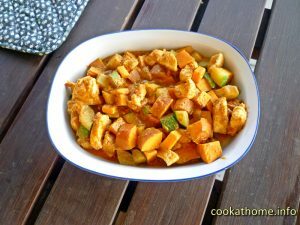 Give them a go and see what you think – either just the sauce, or the full meal with chicken, sweet potatoes and zucchini with a slightly different Thai almond curry sauce. Did you know that you can use nut butter to make breads and muffins? 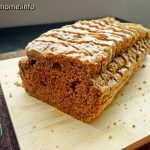 Check out the bread recipe, which doesn’t use ANY flour at all – just some almond butter, eggs, apple cider vinegar and baking soda. Seriously, that’s all you’ll need! 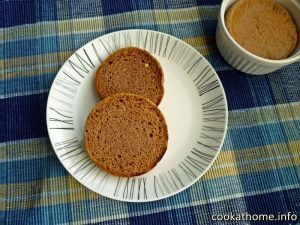 Or if you’re in the mood for some English muffins, see how easy it is to make these at home too! It wouldn’t be a post from me if there wasn’t some sweets included, now would it. So lets talk about some of the options available to you using almond butter in cookies. Of course, there’s others, such as almond coconut cookies and almond chocolate chip cookies and chocolate almond butter cookies, but these two are probably my favorite. 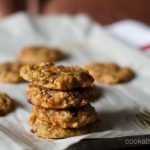 Check out the triple almond raisin cookies recipe to find out just what makes up the three almond ingredients. 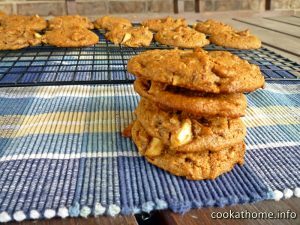 And the apple spice cookies recipe is awesome for when I have apples waiting to be used up …! 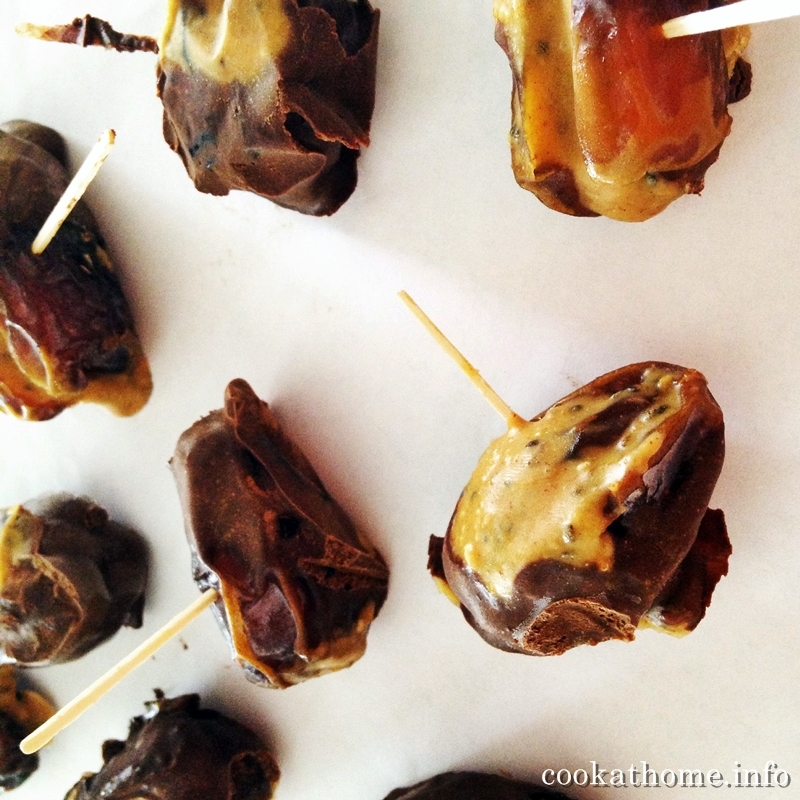 What I love about almond butter in baking is that when you combine it with dates, it gives a really caramel taste. It’s like heaven on a spoon, because you know you have to taste it while baking, to make sure it tastes okay to keep going on making the finished product. Or is that just me? 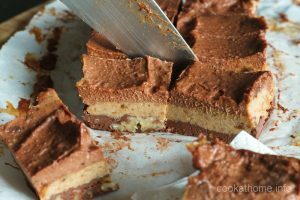 These are two of my favorite combinations of dates and almond butter – a yummy chocolate caramel slice with only dates as the sweetener, and our childhood favorite banana caramel pie, made Paleo! Yes, we can use almond butter in lots of snack-type foods, but what about putting it center stage as the main dessert? 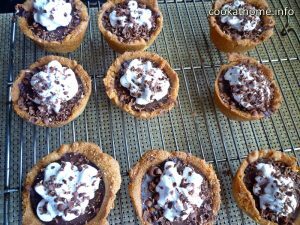 The chocolate cream mini-pies are awesome for kids and adults alike when you are entertaining, and the carrot pineapple cake is a real showstopper when you have the opportunity to decorate the frosting (simply coconut cream with a little vanilla and cinnamon). And the taste of each of these is just amazing – check them out! Of course you can feel free to check out almond butter in other slices and cakes, such as the almond butter cream slice, triple almond brownies, sweet potato brownies, fudgy pumpkin brownies, and chocolate mint brownies (can you see I also like the combination of almond butter in brownies? ), avocado chocolate cake and even some energy balls with chia seeds! Almond butter vs peanut butter – which would you choose? While peanut butter will always hold a soft spot in my heart, almond butter is definitely showing its good side to me. But which do you prefer? Almond butter vs peanut butter – let me know in the comments below – and if you’ve got any other almond butter recipe recommendations or suggestions, I’d love to hear them! Until next time, enjoy cooking at home … with almond butter! Using Middle Eastern spices, this chicken shawarma is a hearty, and tasty, classic meal that the family will love! How many of you have had some sort of cuisine at a certain place, and could not get the thought out of your minds for many years? When Grant and I visited my brother in Toronto a number of years ago, we had a chicken shawarma (before I had all my gluten and dairy issues) and the taste of this shawarma was just amazing. It was so unlike anything that we’d had before. I mean, sure, we loved having the Lebanese yiros when we lived in South Australia (not quite the same as gyros here in the US), and yes we love lots of other Middle Eastern foods, but this was awesome. 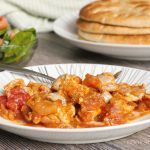 For years, we’ve been looking for a recipe that had similar sort of spices and the tenderness of that first chicken shawarma. So when I was paired up with Rafeeda at The Big Sweet Tooth for this month’s Recipe Swap Club, and searching through her many, many recipes, I found a chicken shawarma one and my mind was made up on the spot! But let me first introduce you to Rafeeda and her website. Where do you live? And does it influence your cooking? I live in the UAE, though I am originally from India. And yes, I love the local food and currently trying to dig out sources of their recipes, cook them and feature them on the blog under a tab called “Emirati Recipes”. I really do not know, but from the folks, they seem to enjoy my biriyani and machboos the most – both are rice dishes with meat. What do you do outside of cooking/blogging? I am a working mother – with an 8-5 procurement job. It was a spur of the moment, more to motivate myself to cook! I’m not a sticker to a person … hehe… I can binge watch Nigella Laweson, Paul Hollywood or Jamie Oliver, depending upon my mood and time. 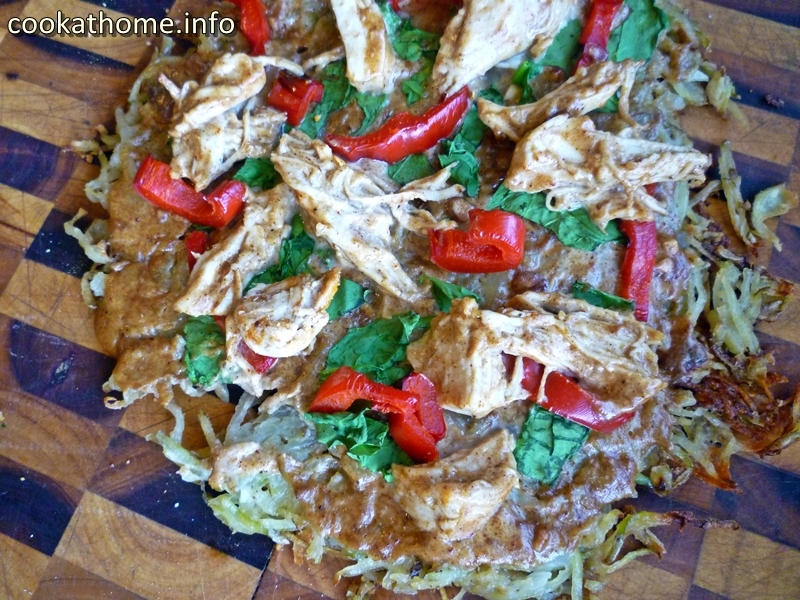 Lets get back to this chicken shawarma recipe. Now, contrary to my many other Recipe Swaps, I actually made these pretty much according to the original recipe. The main difference, because you knew there would be a difference, was that the original recipe called for 3 servings, so I doubled it for our family of 4 and had leftovers. I also substituted a few ingredients with the ones that I had on hand, but it’s all basically the same. I served it for myself with just a simple salad of tomato, cucumber and spinach, while the kids and Grant used some bought pita bread, added some cheese and sour cream as well. But you need to make sure you add the tahini drizzle. That’s what really makes this chicken shawarma come to life. 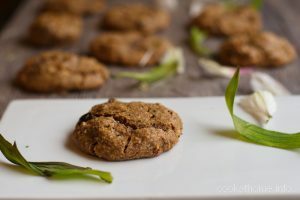 (and yes, I do love tahini, as you’ve seen in my flourless tahini cookies, and my sesame sunbutter energy bites, as well as drizzling it over my omelettata with salsa … but I digress!). Just in case you were curious, the taste wasn’t quite the same as what Grant and I had in Toronto, but for the lack of any other ideas, we’ll just keep going with this one! Let me know if you try it out and what you think in the comments below! Mix ingredients from black pepper to oil in a bowl. Add the chicken pieces and toss to coat well. Set aside for 15 minutes. Drizzle the olive oil in a frying pan and add the onion. Saute until soft and almost translucent. Then add chicken along with the marination and cook the chicken till almost done. Add in the diced tomatoes and toss well to coat in the stock. Cook till the chicken is well done and the stock is dried. Switch off and allow to cool slightly. 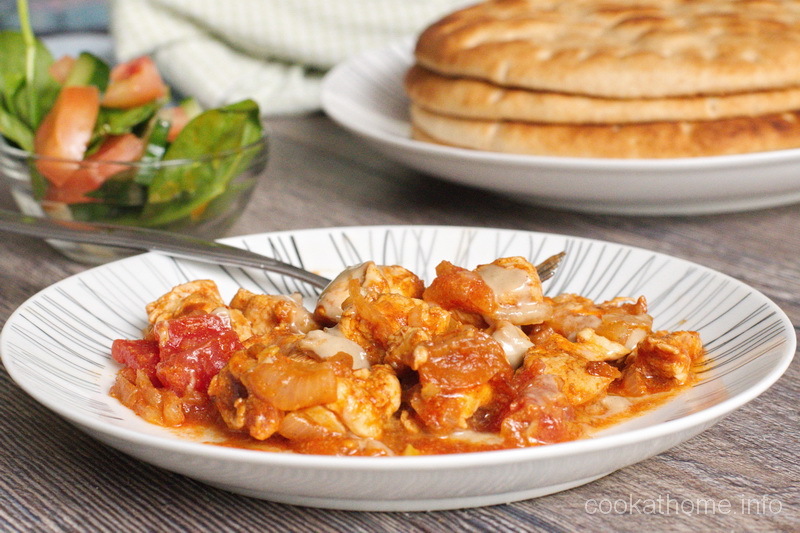 Serve either in pita bread or on a plate with some spinach, cucumber and tomato. Drizzle the tahini over the meat and salad to get the full taste experience. 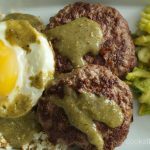 The classic Hawaiian dish of loco moco – made Whole30 compliant – with no grains, gluten, dairy, or sugar! But oh so yummy! Now, whenever Grant and I go somewhere different, we look up on the Internet to find out what the classic foods are for that area. Remember when we traveled along Route66? We decided we had to have all things Route66, including pie. Lots of pie. And then I get inspired to try to re-create those meals in my own kitchen. And such was born my own Route66 pile-up, the ugly pie crust and cream filling, chicken parmigiana (using cashews as the ‘breading’) and a Chicago-style deep dish pizza. All made to meet my special snowflake stomach requirements! So when we went to Hawaii, I naturally looked up what was the classic Hawaiian food. And found that Loco Moco was the name of the game. 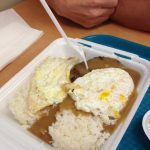 Traditionally it’s hamburger patties, served over rice, with a macaroni salad, smothered with gravy and topped with a fried egg. It’s a cholesterol disaster waiting to happen. One website mentioned you’d be in a calorie coma after eating just one serving of it. Well, Grant and I tried it. With ALL the gluten and dairy stuff in it. You know, just to get an idea of what it does taste like – but we shared a serving. And couldn’t finish it between the two of us. Yeah, I felt a little sick after eating this. But the taste was amazing while eating it, so it was worth trying it. But then my brain started whirring around, as it does, and I thought it would be pretty easy to make this more suited to my special snowflake stomach and Whole30 compliant, so one lazy weekend, I announced to the family that we were having a Hawaiian food day. We started out with some macadamia nut pancakes (just add nuts to this recipe). And for lunch I made loco moco. Grant made some concoction of a pina colada for drinks – and then we slept in the afternoon! 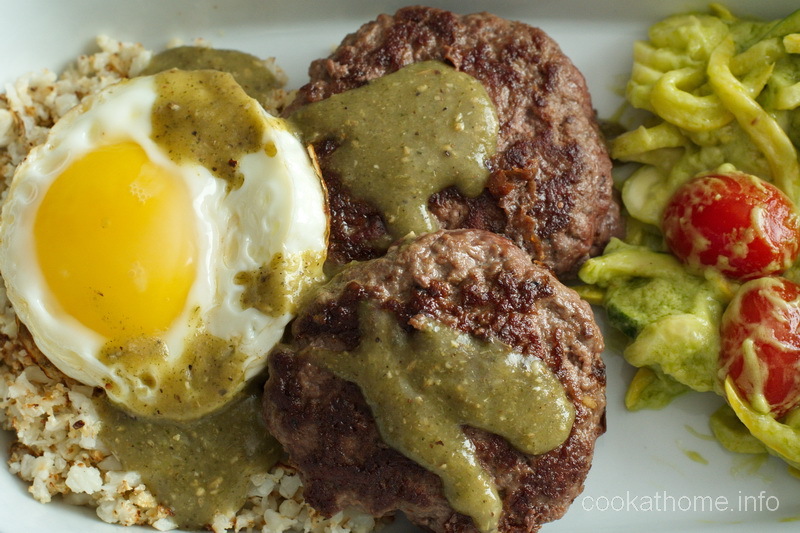 Let me tell you how I made this loco moco Whole30 compliant. It’s based on recipes already on this website – just putting them all together. For the burger, I used 96% lean ground beef, made this roast meat gravy just on the stovetop, cauliflower rice, my avocado zoodles as a salad and a simple fried egg on top! 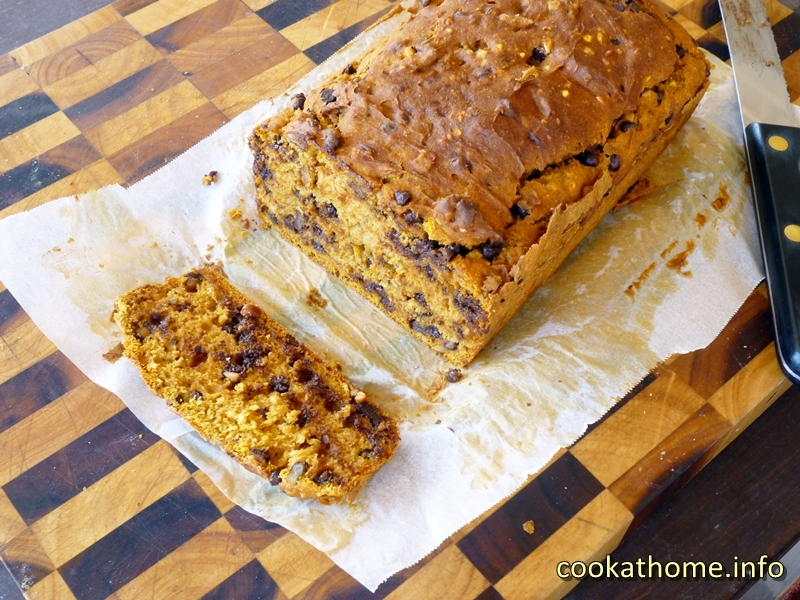 But to save you from having to flick through all of those links, I’ve put the recipe just here for your pleasure! If you’d like to serve it in a styrofoam container, to be just like the Hawaiian version, feel free to do so. Otherwise, you can dress it up and plate it nicely … It’s a little more complicated than most of my recipes here, but it’s definitely worth it. Let me know what you think! Spiralize zucchini and set aside in a bowl lined with paper towel to absorb excess water. Sprinkle with salt to remove even more moisture and set aside. Combine all sauce ingredients in a food processor until creamy. Heat the zucchini noodles in a small amount of oil in a medium frying pan until soft. Add the sauce mixture and combine with zoodles. Combine all ingredients well until a mass forms. Form into 8 patties and chill in fridge for at least an hour. Add oil of choice to a frying pan or griddle. Once hot, place the patties on the pan and squash as flat as possible. Allow to cook approximately halfway through (about 5 mins). Flip and allow to cook to desired done-ness. Remove all leaves and stems from the cauliflower florets. Process in a food processor until a rice-like texture forms. This may need to be done in several batches, depending on the size of the cauliflower and the processor. Saute the onion in a large frying pan until translucent and soft. 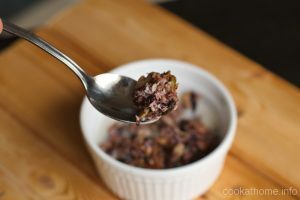 In a small bowl (mortar and pestle if needing to crush the spices), combine the remaining ingredients except for the broth and tapioca starch. Add the broth to the onions and slowly mix in the herb mixture until well coated. Pour the mixture into a food processor and blend until smooth. 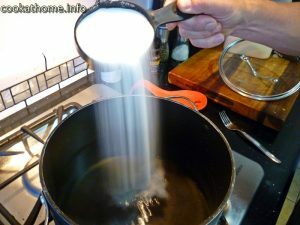 Place some of the broth in a small bowl with the tapioca starch and mix until a paste is formed. 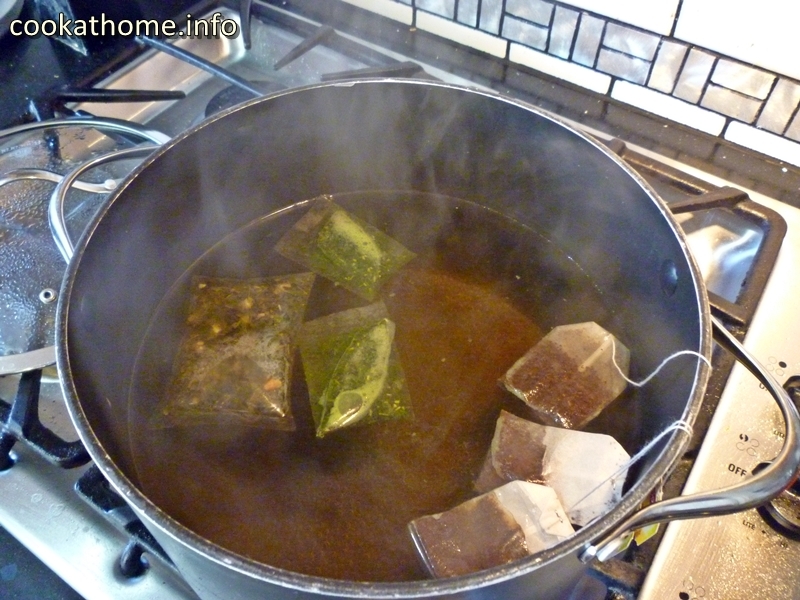 Place the remaining broth in a small saucepan and slowly pour in the tapioca starch mixture. 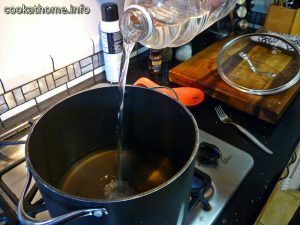 Heat the gravy until reduced in volume and thickened to desired consistency. Heat oil of choice in a small frying pan. Crack the egg and fry until white is cooked and yolk remains runny. Place the salad to one side of the plate. Place the rice in a heap, with two of the small hamburger patties on top. Add the fried egg on top of the patties and pour on the gravy as desired. How many of you have gotten to the Christmas season, thrown your hands up in the air, and wondered what you can make for the many (or even just the one) get togethers? Well, have no fear, because here I’ve put together 7 of our favorite Christmas foods, that you can easily make yourself at home. This is a combination of foods that we’ve picked up along the way from the 3 different countries we’ve lived in – Australia, Chile and now the US. So, having two lots of summer Christmas foods, and one lot of winter, it’s a bit of a mix and match of everything. But trust me, these foods are awesome, no matter what the weather outside is! Now I’m not going to get into how to cook a turkey, or ham, or anything like that, because there’s a dime a dozen helpful hints already out there. 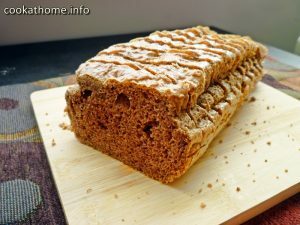 But what I wanted to share with you here, are some pretty easy, sometimes unique, Christmas foods that we eat during the festive season. Hopefully it will inspire you, and give you a tiny glimpse into our (often) chaotic life! I’ve talked a little about how I don’t understand the American tradition of serving the stuffing on the side of the bird, not stuffed inside (hence the stuffing name), but hey, if it tastes this good, I’m all for joining the rest of the country in eating this as a side dish. 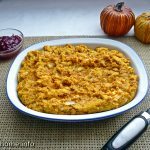 Traditionally the stuffing in the US is a cornbread base (see here for my gluten-free cornbread recipe), but if you’re avoiding corn for any reason (like me), this pumpkin bread stuffing is a really good substitute. My family actually enjoy this much more than the cornbread version. PS If you don’t have a picky eater in your family that doesn’t like dried fruit in any form (thanks Abby! 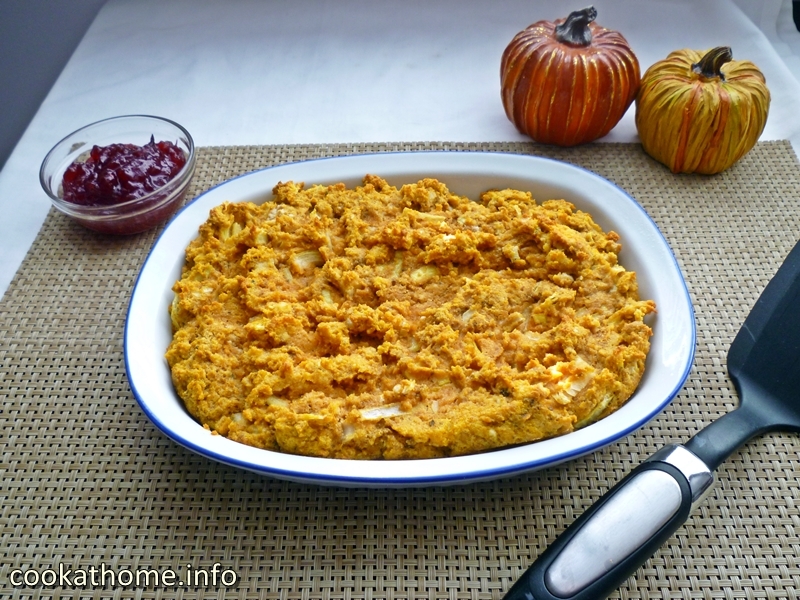 ), feel free to add some cranberries to the stuffing as well, for that extra zing! If it’s warm outside, feel free to serve this Spanish potato salad cold. If it’s cold outside, feel free to serve this Spanish potato salad warm. It’s one of those awesome salads that can be served in any kind of weather. 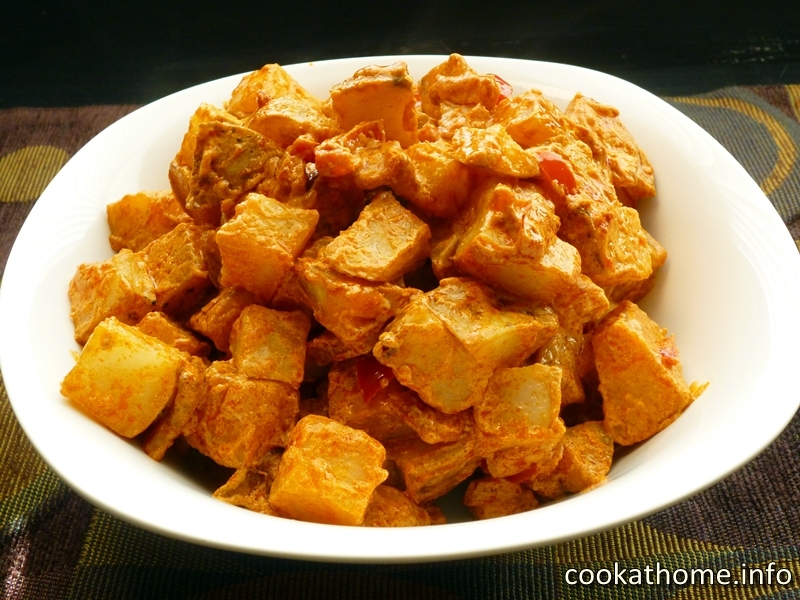 Now it’s a little different to the normal potato salad because it has a whole heap of paprika in it, so if you love smoky flavors, this salad is for you. And bacon – because bacon makes everything better! This is actually a staple salad in our family – whenever we say we’re having salads, the kids always ask for this salad. Gone are the days in our house of just a normal tossed salad – you know the lettuce, tomato (which only I eat), carrot and cucumber. Now, it’s more along the lines of fruit and nuts with greens. 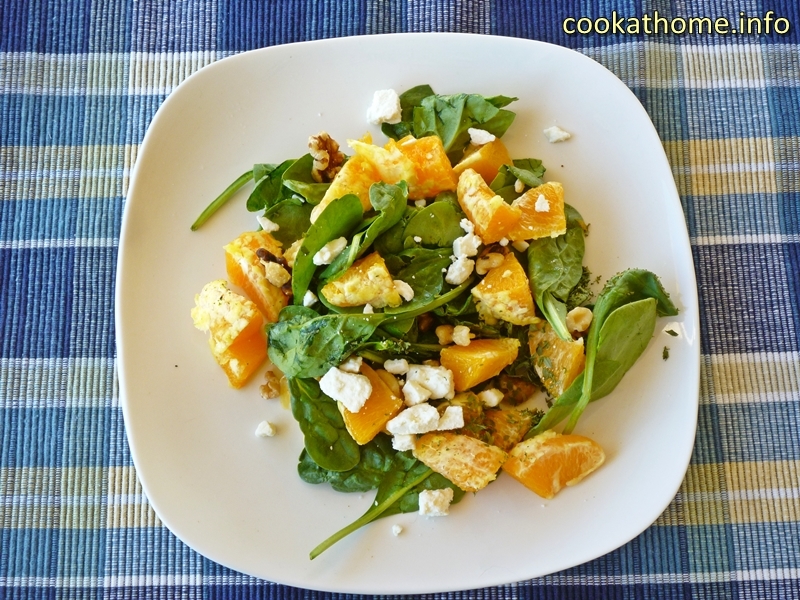 And this spinach orange salad certainly satisfies that criteria. The recipe originally calls for some cream cheese in with the spinach and oranges, but, to be honest, even if you’re not avoiding dairy, you can leave it out. Or if you love cream cheese, this really does give you that creamy texture so feel free to keep it in! When Abby made dinner recently, she decided she wanted to make this salad. She took one bite of it, and said she didn’t realize how yummy it was … and she wants it more and more now! I’m kind of teasing you with this photo because I haven’t published the recipe for it yet. 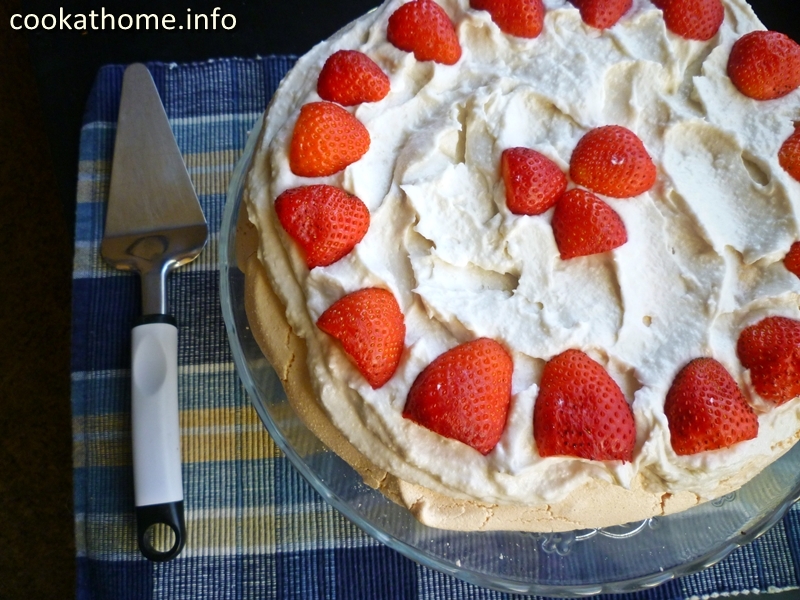 But, for all you Aussies out there, know that I haven’t given up on having the traditional Pav at Christmastime … and I’ve made this recipe so simple that even Henry can (and does) make it! So you’ll just have to wait until it’s published … maybe that will be an incentive to subscribe and get the e-mails to say when I update recipes (hint, hint!)? 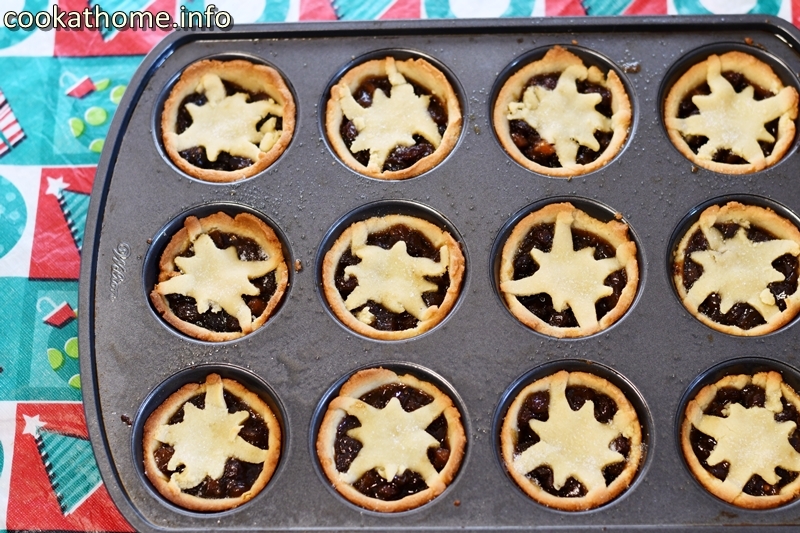 Definitely going back to the Aussie roots for these fruit mince pies. Funnily enough, I loved the cheapest, home-brand mince pies the best. You know, the ones that came in the al-foil pans, usually 6 for $2 (or less). I could devour the whole pack quite easily … but that’s another story! Making these gluten and dairy-free was a bit of a challenge. But then I found a shortcrust pastry recipe, which uses rice flour and cornmeal, and also a Paleo ‘graham cracker’ crust recipe. Both of these work equally as well in these fruit mince pies – and the flavor explodes in your mouth. Yes, I still love my fruit mince pie – and you can too! What says Christmas more than the smell of ginger? I’m not quite sure, but what I do know is that these ginger cookies are amazing, throughout the year! 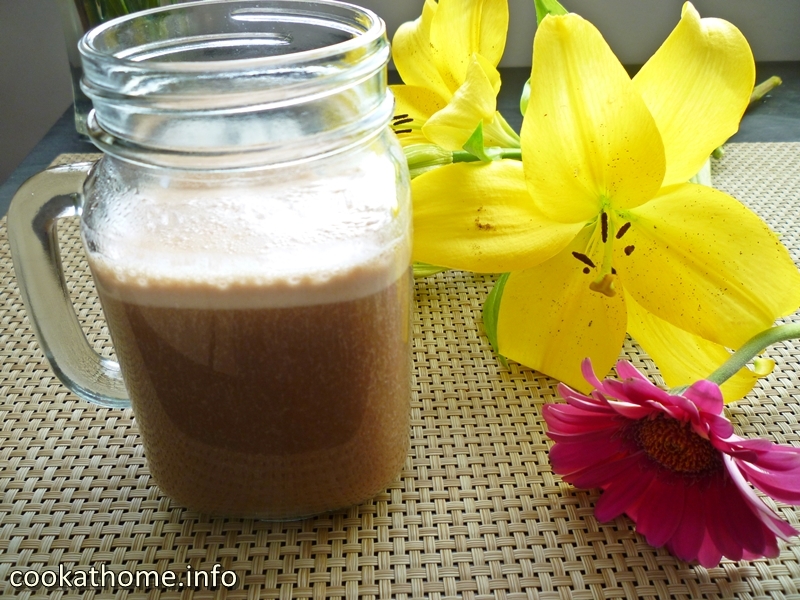 Gluten and grain-free, dairy-free and no refined sugar as an extra bonus! 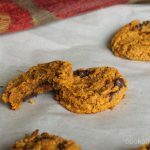 These ginger cookies are the right balance of crispy but soft, and are a real favorite because they are so easy to make! Bring these to any cookie exchanges (again, a US thing, I think! ), and you’ll be the star of the show! So there we go – I hope you’ve enjoyed this little insight into our Christmas foods – and our family as well! From my family to yours, I wish you a truly blessed Christmas, with food, friends and/or family and lots of fun. And I hope you also enjoy cooking at home … stay tuned for more exciting recipes coming your way in the very near future! How to get the most out of super spices in your daily life + a GIVEAWAY!! This post contains affiliate links, which means I receive a small commission if you make a purchase using this link. Please note that all opinions are my own! 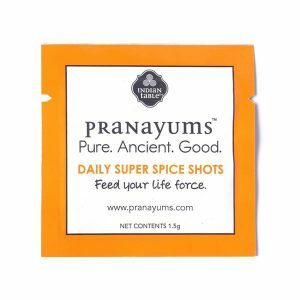 As you may be aware, I love these Pranayums super spice shots and use them quite a lot in my daily life. 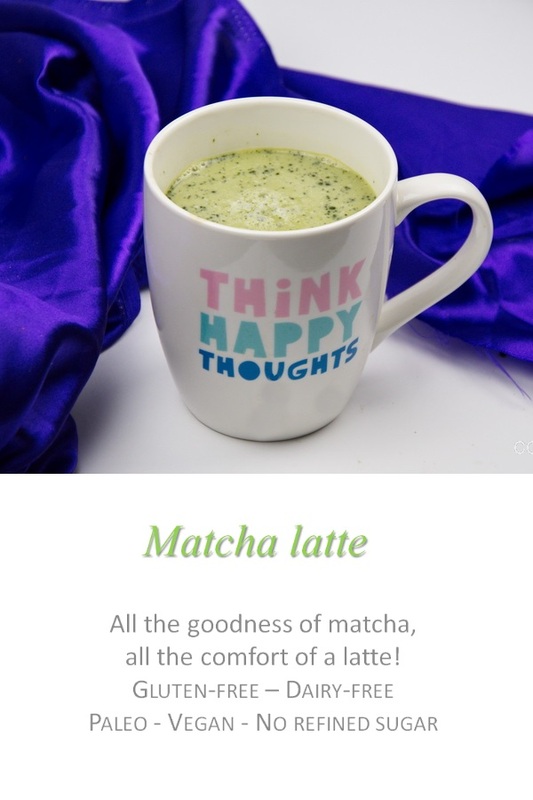 I have noticed a distinct difference in my digestion and my emotions when I include them. So I wanted to share all the different ways that I have used them in the past, maybe to give you some ideas yourself. And keep scrolling down because you could win some to try in my GIVEAWAY (now closed)!! But first of all, what are these Pranayums super spice shots? Direct from the Pranayums website: These super spice shots contain turmeric, ginger, black pepper, cardamom, cinnamon and licorice root. So you can see, there’s lots of good stuff in every single shot. But, short of just chugging these as shots (which I don’t recommend), how do you incorporate all this goodness in your everyday life? Well, my friends, keep scrolling to see how I do it! 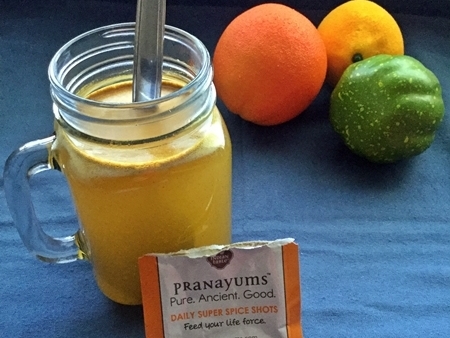 Every morning, before I have breakfast, I warm up some water, add some cinnamon and apple cider vinegar, and (you guessed it) some Pranayums super spice shots. And drink it. Before any food. I was a little skeptical of doing this at first, but it soon showed in better digestion and stomach feelings (without going into too much details). The trick is to make sure the water is warm, but not hot, and you mix it in thoroughly. As much as I love these shots, I do not love swallowing whole lumps of it at once! Since we’ve been in the US, I’ve discovered the joys of the reduced veggies at the local grocery store. But then there’s always the dilemma of what to do with them to use them up before they go off? Well, I’m a big fan of roasting veggies in a big batch, and putting portion sized mixtures in the freezer. That way I’ve always got a stash of roast veggies to go with any leftover meats from family dinners, or adding some poached or fried eggs on top. 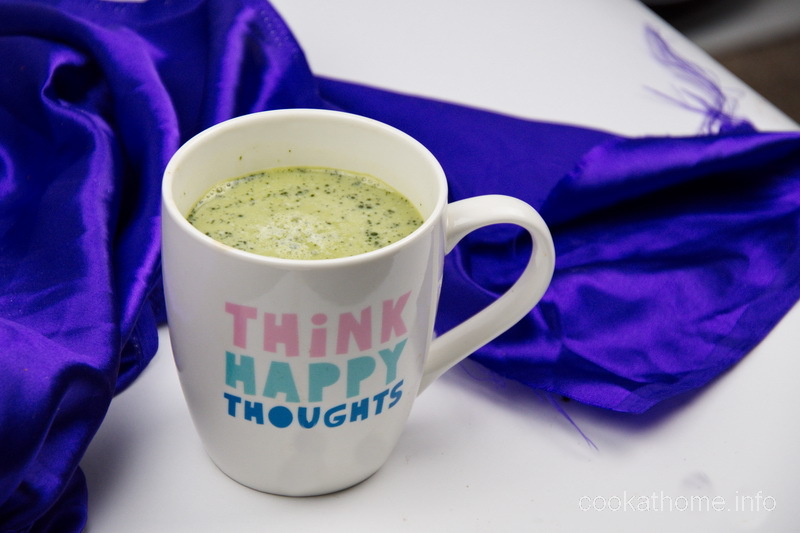 And I often have this for lunch … or breakfast … or for our ‘fend for ourselves’ dinners. And adding the Pranayums spice shots to the veggies just gives it a different taste to normal. So versatile. So yummy. So nutritious! You may wonder what a pizza crust has to do with super spice shots? Well, in my coconut flour pizza crust recipe, it calls for some herbs and spices to be mixed into the crust, so I thought, why not use the Pranayums shots? And I gotta tell you, this flavor is amazing. Top it with whatever you wish, and know you’re doing a good thing for your internals! 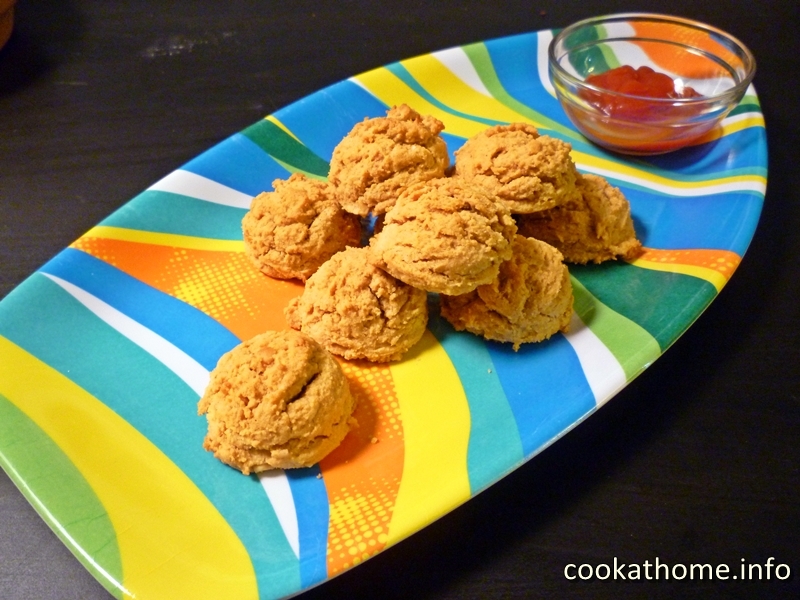 What to do when you run out of curry powder for a chicken coating? Well, I use Pranayums spice shots as a really good substitute. And with my trusty spiralizer for zoodles galore, this is one of my favorite meals – both at home and at work. 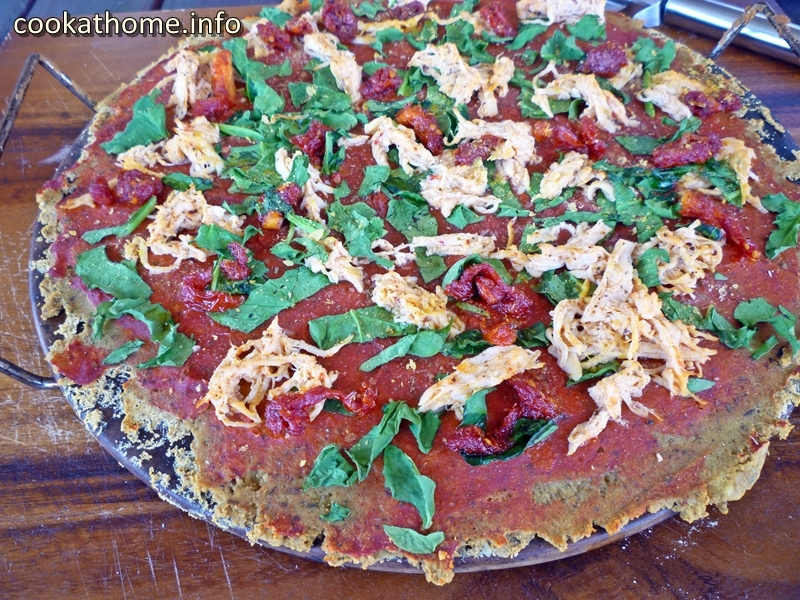 Check out the recipe for the simple chicken seasoning … and feel free to change it up a bit! 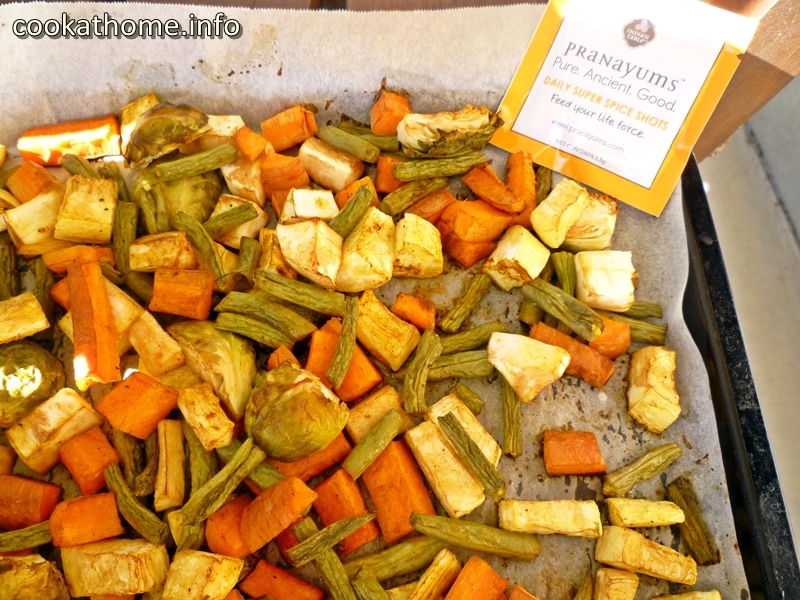 Another really simple and easy way to get these Pranayums spice shots into your life – similar to the roasted veggies above, just sprinkle potato wedges with the Pranayums spices before putting in the oven and cooking them. 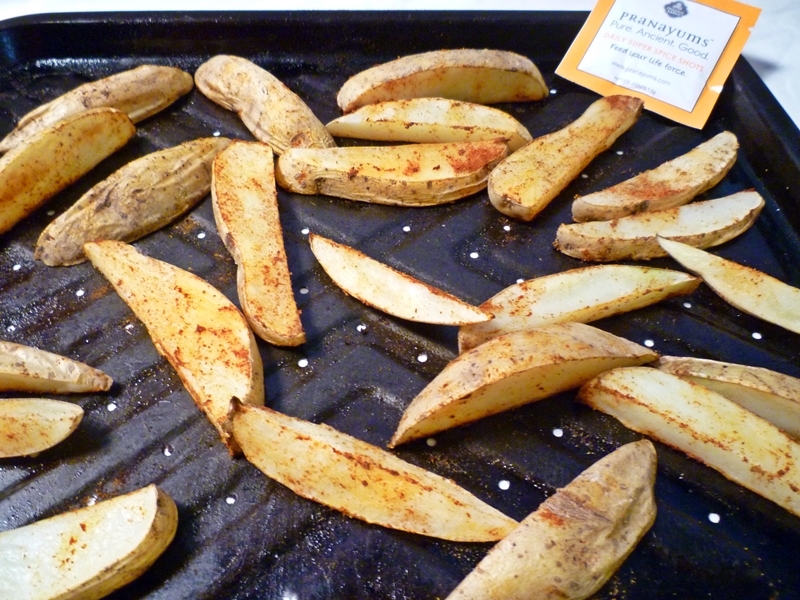 I love changing up the spices I put on my potato wedges – but this one is a personal favorite of mine! And last, but definitely not least, you can use these super spice shots in your baking. Because you all know that I am a baker at heart, so I had to figure out a good way to get nutrition into all the baked goods that I make. 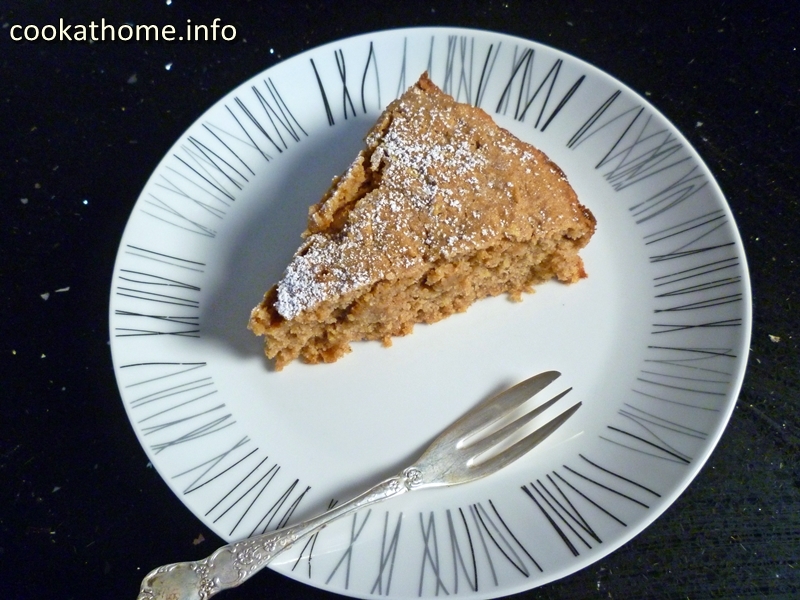 And these spices give this yummy cake, just that extra special something! And now for the giveaway …! 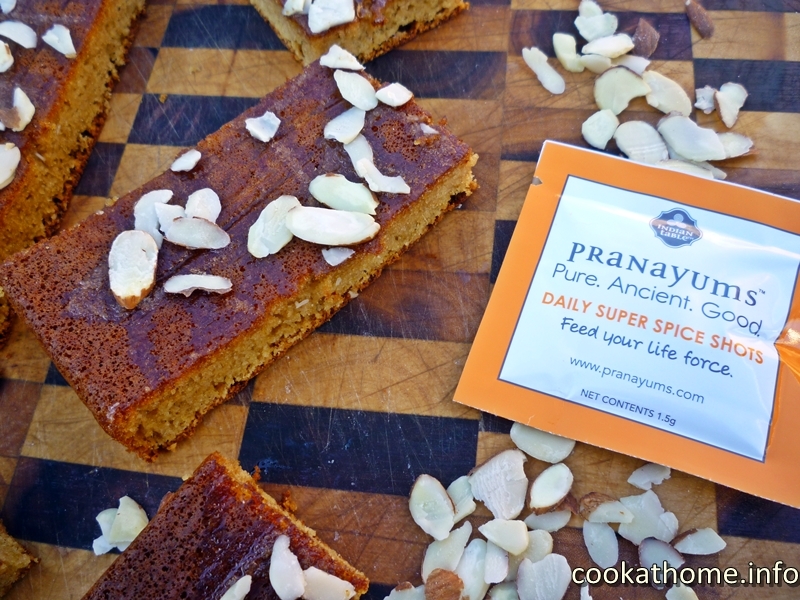 Because I want you all to give these Pranayums super spice shots a go, I have a multi-pack available to give away to one lucky winner. All you have to do is comment on this post, letting me know what you would make if you won this prize. 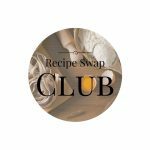 Note that by entering this competition you agree to receive all sorts of yummy ideas and recipes for gluten and dairy-free cooking at home in your e-mail inbox! US residents only please. This giveaway closes October 15, 2017. Winners will be contacted via e-mail shortly after. So what do you think? Let me know what you’d make in the comments below, even if you aren’t a US resident … and I’d also love to know how you make sure you get all the nutrients you need in your daily life. Until next time, enjoy cooking at home … with Pranayums! 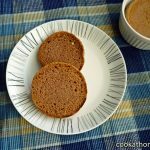 Stuck for ideas for peanut butter – read on for 7 creative peanut butter recipes that I (and the family) love! As you are probably aware, peanut butter is my spirit animal. I saw that on a t-shirt once and absolutely loved it. I also saw a quote that spoke to me deeply – I just want to love Jesus, train hard, and eat all the peanut butter (thanks Kelsey!). 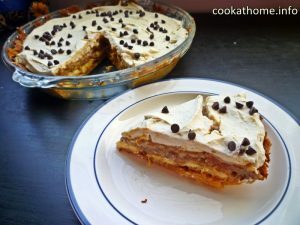 And because I do a lot of cooking at home (hence the name of this website), I wanted to give you all some more interesting combinations of foods that I’ve used peanut butter in. And I was given the opportunity to promote Crazy Richards Peanut butter (Best. Peanut Butter. Ever!) so I thought I’d give you a round-up of all things peanut butter! By the way, I love ALL of these recipes. This is not just a list of crazy ideas that no one would ever eat. This is a list of some of my favorite things, which just happen to include peanut butter. OK, lets go with my 7 top creative peanut butter recipes! This was one of the more unique combinations of ingredients that just simply work well together. Because (a) it’s pizza, (b) it’s naturally gluten-free with using potatoes for the crust and (c) it’s got peanut butter and chicken on it. Who wouldn’t like it? The kids often ask for this … it takes a little more effort than most of my recipes so it’s an infrequent treat for the whole family! And even though it doesn’t look like much of a photo, you’ll just have to trust that this is awesome! Most health experts are starting to agree with each other these days that good fats, such as nuts and avocados, are good for you. Much better than all the sugar-y substitutions used in the low-fat food to make it taste good. And I whole-heartedly agree. 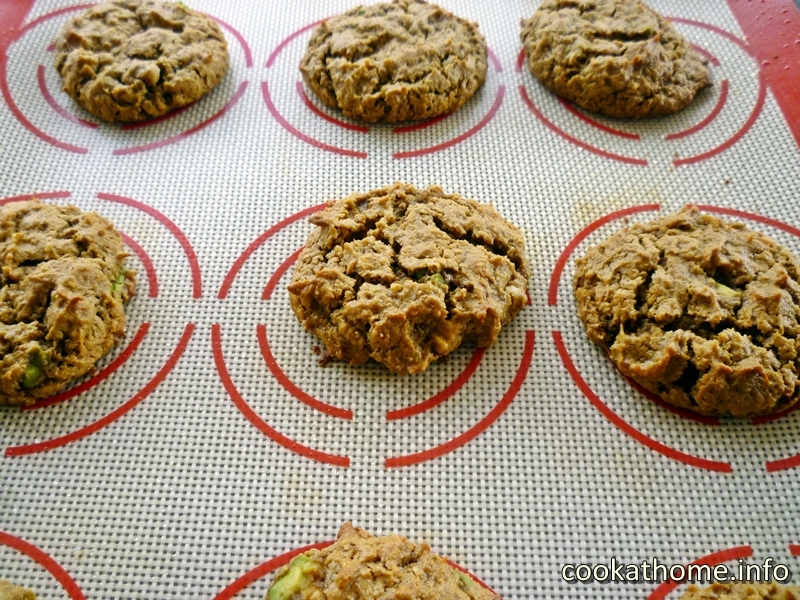 Hence my love for peanut butter and avocado … so I thought, why not in a cookie? And these are amazing. 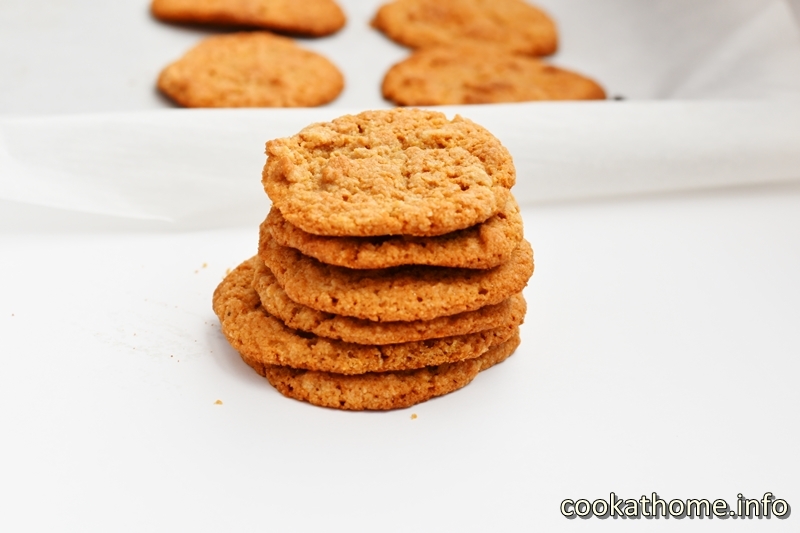 Not as ‘stick to the roof of your mouth’ texture as the simple flourless peanut butter cookies, but oh so creamy! And no refined sugar, so even better for you! Ok, so if you’ve peeked at the link above, you’ll know what the mystery ingredient is. But it’s an awesomely soft and chewy peanut butter cookie, which no one will ever suspect of containing …! I thought this was a strange combination until I tried it. And loved it. Perfect for events around the Thanksgiving/Christmas period, but to be honest, I’d eat this any day of the week. And I still enjoy the combo of sweet potato and peanut butter when pumpkin isn’t so much in season. See, maybe I’m not totally strange? Ahh the classic apple and peanut butter combination. But who’d ever thought of putting it in a cake? Well, that would be me! 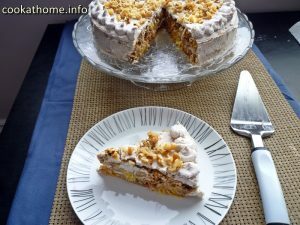 I made this once for some friends, where one of them was always against peanut butter, and he didn’t make a noise about the taste, because it’s just awesome! Long title for the snack, but totally awesome and I dare you to stop at just one. With no refined sugar added, you can feel good about eating them … in moderation, of course! Couldn’t go past my all-time favorite combination. No recipe needed for this one. Simply, cut up some veggies and add peanut butter. 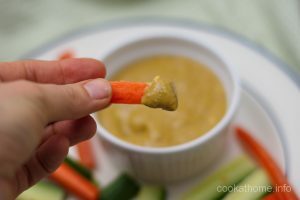 This is a snack that I sometimes have as a meal, when I’m not that hungry, or just pick up leftover random veggies and stick them in a pool of peanut butter. And I’m in my happy place! So there you have it. My top 7 creative peanut butter recipes for you all to make at home. Do you have any other ideas for using peanut butter, either creatively or not so creatively? Let me know in the comments below!